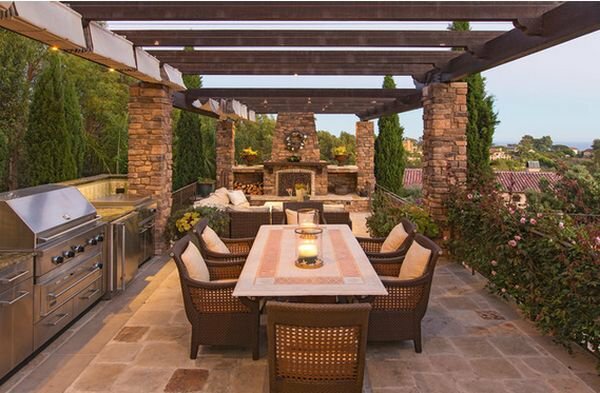 An outdoor fireplace is a great entertainment area and a welcoming outdoor space on a cool night. A patio is not just a patio but when you add an outdoor fireplace, you transform your backyard into a place for friends and family to gather. You not only increase the value of your home, you really increase the ambiance of your home. When you build an outdoor fireplace you can be very creative with the design and type of stone. Fire and water features allow you to bring another level of enjoyment to your backyard landscaping. Landscape designs for every size and every budget can be enhanced by the addition of a water or fire feature. Fire features, like an inviting and attractive outdoor fireplace, bring warmth and happiness to any backyard gathering. Almost everyone likes to sit around an outdoor fireplace. A custom-designed outdoor fireplace or fire pit will serve as one the main anchor points of your outdoor living space. An outdoor fireplace is a classy upgrade on the popular outdoor fire pit, which resembles more of a campfire. If you want to bring even more style to your outdoor living area a fireplace is the way to go. 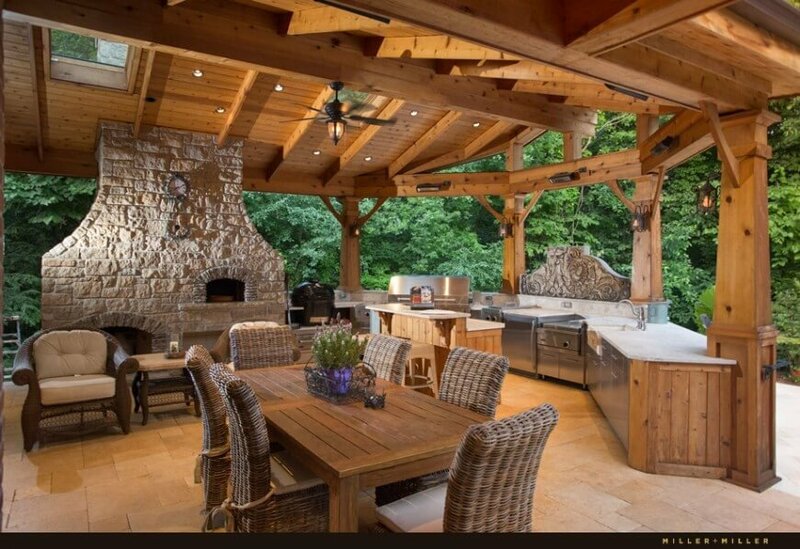 Your outdoor living space can literally become an extension of your home. Your new outdoor fireplace can act as the focal point in an inviting outdoor living area with seating and other features such as an outdoor kitchen, or barbecue. A fireplace is a great way to entice people into sitting down together, relaxing and enjoying conversation. It is a warm welcome to your guests. Think of the possibilities during family holiday gatherings. Outdoor fireplaces can be created to express your personal taste. Enhance your already existing landscaping or add new landscape and hardscape features, or outdoor structures, will make your space feel warm and cozy. Your new fireplace can be freestanding or combined with other features such as seating that will really pull the space together into an enticing meeting place. 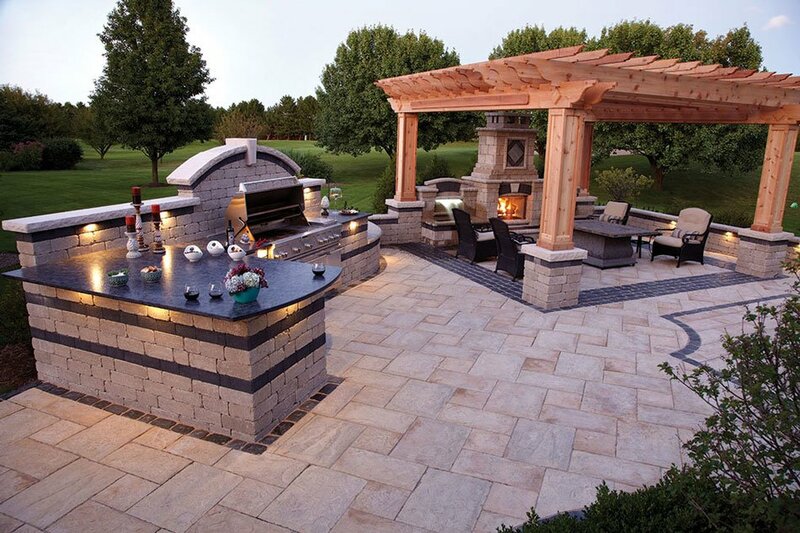 Home Living Outdoors in Chantilly VA can answer all of your questions about adding hardscape features such as fireplaces that will transform your outdoor patio and living areas. With our years in the business and keen attention to detail, Home Living Fireplaces and Outdoor Living can help you make all of your outdoor living dreams come true.